The information below is supplied from an article written by Ken Kremer of UniverseToday.com. With the flareup in Ukraine in the autonomous Republic of Crimea, did you know that the U.S. Nasa Space Program is dependent on Russian and Ukrainian Rocketry? Since the forced retirement of Nasa's space shuttle program in 2011, The United States completely lost its own human spaceflight capability. So now the only ticket for astronauts to space and back is by way of the Russian Soyuz capsule. American and station partner astronauts are 100% dependent on Russia’s three seat Soyuz capsule and rocket for rides to the ISS. Russia has a monopoly on reaching the station because the shuttle was shut down by political ‘leaders’ in Washington, DC before a new U.S. manned space system was brought online. And congressional budget cutters have repeatedly slashed NASA’s budget, thereby increasing the gap in US manned spaceflight launches from American soil by several years already. Congress was repeatedly warned of the consequences by NASA and responded with further reductions to NASA’s budget. In a continuation of the normal crew rotation routines, three current crew members are set to depart the ISS in a Soyuz and descend to Earth on Monday, March 10. Coincidentally, one of those Russian crew members, Oleg Kotov, was actually born in Crimea when it was part of the former Soviet Union. The U.S. pays Russia $70 million per Soyuz seat under the most recent contact, while American aerospace workers are unemployed. The fastest and most cost effective path to restore America’s human spaceflight capability to low Earth orbit and the ISS is through NASA’s Commercial Crew Program (CCP) seeking to develop private ‘space taxis’ with Boeing, SpaceX and Sierra Nevada. Alas, Congress has sliced NASA’s CCP funding request by about 50% each year and the 1st commercial crew flight to orbit has consequently been postponed by more than three years. So it won’t be until 2017 at the earliest that NASA can end its total dependence on Russia’s Soyuz. A sensible policy to eliminate US dependence on Russia would be to accelerate CCP, not cut it to the bone, especially in view of the Crimean crisis which remains unresolved as of this writing. If U.S. access to Soyuz seats were to be cut off, the implications would be dire and it could mean the end of the ISS. When NASA Administrator Charles Bolden was asked about contingencies at a briefing yesterday, March 4, he responded that everything is OK for now. “Right now, everything is normal in our relationship with the Russians,” said Bolden. 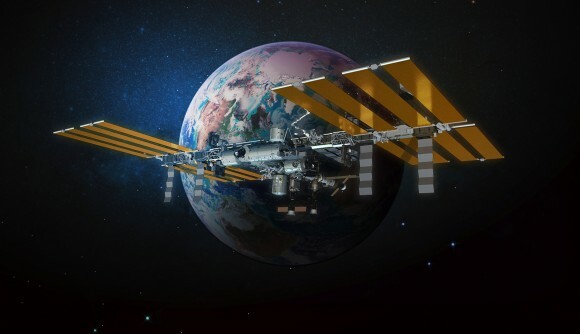 You don't hear much about these facts regarding the U.S. Space Station. And just to think the the U.S. pays Russia $70 million per seat to travel to the space station is almost unbelievable. Periodically, Russian and American Astronauts travel too and from the space station. Who is to say that someday soon that the Russians take-over the station, as they will prohibit the U.S. from space travel to the station. These sanctions may be posed against the U.S. for posing sanctions recently on Russia from the United States. It seems to be a cat and mouse game, but it is one of the most serious games being played in modern times, and is the biggest challenge of President Obama's tenure in office since becoming President.